At Custom Cabinetry Unlimited, we work closely with our customers to design tailored, customized fine cabinetry for kitchens, bathrooms and other areas of the residence. The styles of our custom cabinets range from spectacularly ornate to the sleekest modern. By selecting custom built cabinetry, you gain the assurance of knowing the final product will meet your interior decorating goals. Down to the hinges on the doors, our craftsmen construct quality custom cabinetry to suit our customer’s distinctive taste. We use many different kinds of woods, stains, and detailing. Partnering with builders and designers, alongside the homeowner, Custom Cabinetry Unlimited crafts dream living spaces that work within the integrity of each home in Philadelphia, Chester County, PA and the surrounding locations. Choosing custom built cabinetry for your home could be one of the most important decisions you ever make. Take your time, look through magazines, and ask for design ideas. You can’t go wrong if you pick what you love! If your space is small, dark, and outdated, now is the perfect time for a remodel. 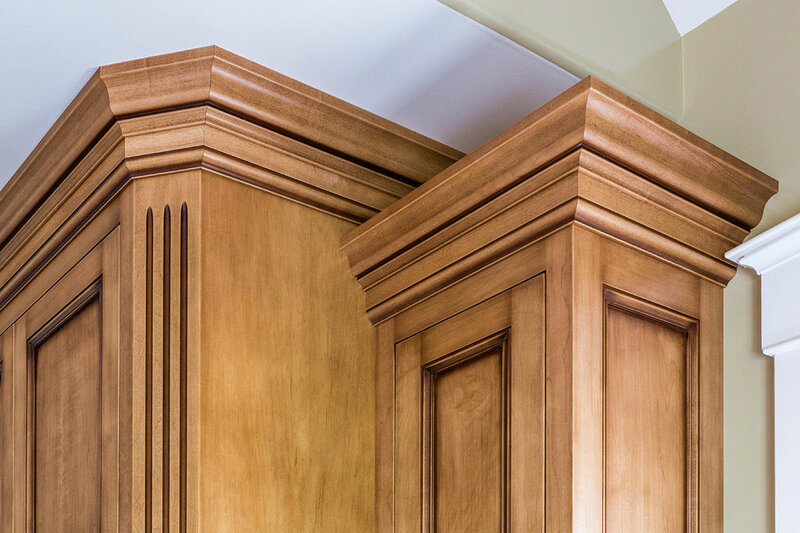 We match our elegant wooden cabinets and shelving to fit the architectural styles and color patterns of the surrounding residential environment. Enjoy beautiful living spaces, enhanced with functional, high quality custom built cabinetry! Our team of experienced craftsmen is here to help you along the way. We work hard to build you quality custom cabinetry at an affordable cost. Our quality custom cabinetry will take your kitchen, bathroom, or other living space to the next level. We have years of experience creating comfortable and functional rooms for any home. When you work with us you are working directly with the manufacturer. We additionally offer different types of custom cabinet doors and cabinet finishes that will color match stains to existing cabinets. When you select one or more of our fine customized products, you'll gain peace of mind knowing we stand behind every cabinet we design and manufacture! Our cabinet makers are able to build and assemble cabinetry projects off-site to minimize disruption to the homeowner. The outstanding customer service we offer extends to the installation process. Our team will make certain each cabinet fits your living space perfectly! At Custom Cabinetry Unlimited we will meet your expectations and more! We build every item with care in our shop in Leola, Pennsylvania! You'll appreciate the convenience of ordering fine wood products for your home from skilled custom cabinet makers. We strive to achieve complete customer satisfaction with our work! Our company serves Philadelphia, Chester County, Lancaster County, and the surrounding locations. Contact us today for more details. Our custom cabinetry will take your space to the next level. We manufacture all of our custom cabinetry in house. Our custom cabinetry is delivered right to your front door. We install your custom cabinetry into your living space.